Wear and tear of tarpaulins and tautliner curtains is only natural – while we guarantee a lengthy lifespan in general, rips and tears do happen – and Cargo Tarp and Net Manufacturers are on-hand for all your tarpaulin repairs in Johannesburg and Durban. We are proud to say that our 24-hour, 7-day a week service is what sets us apart from alternative manufacturers – all a client needs to do is make the call, and we will be there. We also specialise in tautliner repairs throughout Johannesburg and Durban, where replacement or mending of tautliner curtains may be required. Our team endeavours to offer a high-quality service, in the fastest turn-around time possible in order to get your fleet back on the road. We get it, accidents happen and nine-times-out-of-ten, we are barely prepared for it! That’s why you can truly rely on Cargo Tarp and Net to be there when you need it the most. When it comes to the transportation of goods, we understand that time is money, and every minute lost on struggling with faulty or damaged tarpaulin curtains is money lost for your business. 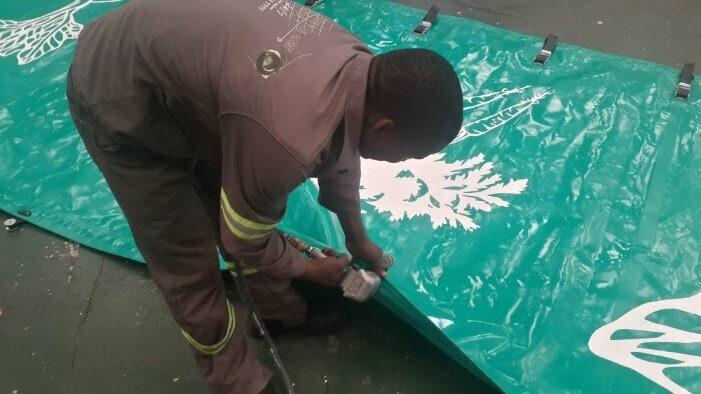 At top tarpaulin manufacturers in Johannesburg and Durban we have the knowledge and the manpower to get the job done, in the least amount of time possible. 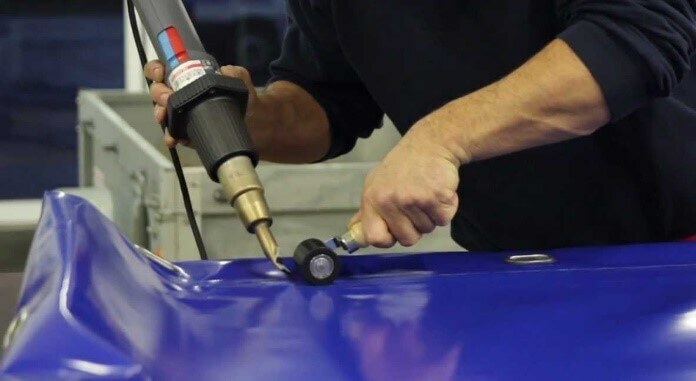 Trustworthy tarpaulin suppliers are a dime a dozen, and we take great pride in offering a top quality service to our clients, year after year, ensuring their tarpaulin and tautliner curtain repairs do not cost them valuable business! As with most business assets, maintenance is key to keeping things in good working order. Looking after your tarpaulin curtains properly, as well as purchasing them from a high-quality tarpaulin manufacturer in Durban, to begin with, will go a long way in avoiding unnecessary and time-consuming tarpaulin repairs. Do not place unnecessary pressure on either the seams in the material or eyelets found on your tarpaulin. Avoid using your tarpaulin around sharp objects, such as tree branches, which could cause holes. Keep an eye on the friction between your tarpaulin and the object(s) it is covering, as this could cause the tarpaulin material to wear more quickly. When cleaning a canvas tarpaulin, use a brush with soft bristles to avoid damaging the material. You can purchase cleaning products which help to protect your tarpaulin from UV rays and other issues such as mould and fungus growth – you can enquire with Cargo Tarp and Net Manufacturers about the ordering and purchasing of the best chemicals to use. Our onsite tautliner curtain repair service is always available- 24-hours a day, 7-days a week as mentioned. We believe in minimising downtime, ensuring your fleet is back on the road and business is unaffected. 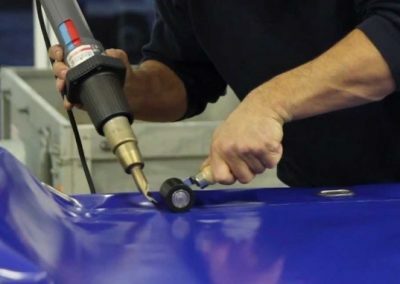 You can be rest assured the materials used to manufacture our tarpaulin is the best on the market, and as such, repairs should be minimal after purchasing our products! 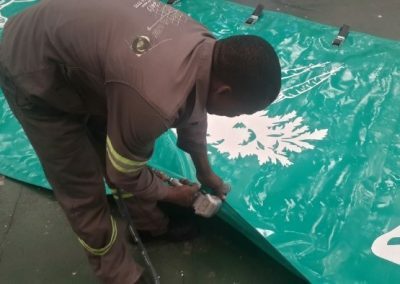 If you are looking for the best in the business when it comes to tarpaulin repairs in Johannesburg and Durban, look no further and contact us today!